You’ve been asked to deliver a learning program for a new system - the catch is that you only have a short time to do it and if the learners aren’t 100% competent, a patient’s life could be in danger. You need to not only train but validate competency. Organizational Assessment - defining knowledge, skills competency the organization required to meet its strategic goal - efficiency. Workflow Assessment - This phase looked at new workflows, skills, knowledge, competency required to perform jobs. They grouped those with similar workflows to consolidate training efforts in those areas. Job Role Assessment - This phase focused on performance of individual job roles and determination of what training they needed. The TNA resulted in 4 training tracks for different user groups. The training was different for each group and all included a blend of content to meet multiple learning modalities – read, watch, practice, touch, test. Implementing a blended learning program is challenging; a typical format is eLearning + Assessment + Classroom yet Children’s took it further by including “Learning Labs” that functioned as practice plus summative assessment. They team supported learners throughout the entire process with different types of content and measured progress throughout the entire journey. “We differentiate between assessment and competency,” said Melissa (as I silently said ‘amen’ in my head.) To ensure the learning transferred to the job, learners were provided with lab activities. The learners completed the activities then submitted to a trainer to assess. As a result, they were able to evaluate the program on Kirkpatrick Levels 1 - 4. Four is not easy to get to; it’s essential to involve the organization to point where you measure business results, and they did so with a productivity analysis. The Children’s Health learning team partnered with the business in ways that led to success in just a few short months. Congratulations to Children’s Health for a developing such a robust and effective learning program that demonstrates the true value of learning as a strategic business enabler. You’re an example for us in L&D to follow. Apply for the 2018 AXIS Award! Had a great program this year? It doesn’t have to be on the scale of Children’s; if you had a breakthrough moment this year others can learn from you. If you worked to develop the talent in your organization this year, then you should consider applying for an ATD Dallas Axis Award. It’s not only for large organizations with big budgets or cutting-edge technology – it’s the results that count. Ask yourself if the solution was innovative for your company and If the answer is yes, then apply today! If your efforts made a difference then others can learn from your story! Reason 1 – Others can learn from you. Our field can be challenging in this everchanging environment we are in. if you made a difference then you should share your story so others can learn from your efforts. Our WHY is to see more effective talent development which ultimately helps employees as well as companies. Pay it forward! Reason 2 – It’s great for your talent brand. Candidates top reason for choosing an employer is career growth and the AXIS Awards are a great way for you to get that word out. One of the greatest benefits of ATD membership is learning from what others are doing. Many training/talent industry awards often go to the largest companies, but in Dallas we love diversity and want to hear from all size organizations and industries because that’s who our members are. Reason 3 – It’s easy, and free! 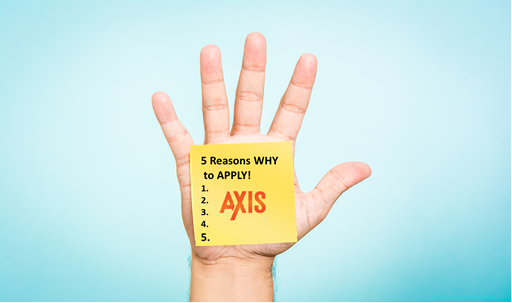 The AXIS Award application is only 7 questions. If you’ve ever applied for a training (or other industry) award then you have faced the daunting challenge of answering page after page of detailed questions that sometimes don’t seem relevant to the award itself! The ATD Dallas AXIS Awards questions are easy and it’s free to apply. Who doesn’t like simple and free? The AXIS Awards are a way for us to show that Dallas is a great place for talent. Dallas is one of the most competitive talent markets in the country and it’s good for our area to show that companies here invest in their Talent. Reason 5 – The AXIS Awards Gala is one of the best events of the year! So even if you don’t win you should attend the December event. I love the AXIS Awards – there is always a fun pair of emcees and a house packed with people who love what you do – developing their talent. PrimeLending won last year in the Organization Development-Performance Improvement category for their Loan Processor learning program. It is an effective program that not only onboards loan processors to the job but integrates them into the culture as well and establishes an immediate network for their new employees. They didn’t use mind-blowing technology to make this happen but used the tools of our trade in a very focused and innovative way to tackle a tangible business problem. I recently managed to capture President Mike Thompson for a brief chat about our most special members – our chapter volunteers – who we will be recognizing at the AXIS AWARDS gala on December 5. What’s the role of the volunteer at ATD Dallas? We’re a BIG chapter with more than 500 members! Because of our size, we offer many different areas for contribution, from programming to special events to marketing/communication and much more. A volunteer with almost any area of interest can make a strong contribution to ATD Dallas. What’s unique about the volunteer role in ATD Dallas? In addition to the number and variety of opportunities, there’s the chance for volunteers to stretch their own skills and abilities, especially if their work life isn’t providing that chance. We get to work alongside so many extraordinary people in our industry, but the real relationships are built when we lock arms toward a common goal. That is the biggest payoff. We recognize them both formally and informally. Of course, big events and chapter meetings provide an opportunity and we take advantage of it! But possibly more important, we’re a chapter that loves to tell stories about the great things our members are doing. We want to recognize those accomplishments more and more often and celebrate them, until ATD Dallas becomes the benchmark for the rest of the industry. How have volunteers made an impact on the success of our Chapter’s value proposition? In every way, shape and form! Our volunteers build programs that engage everyone. Their networking connects us with thought leaders who are willing to share. We’re quick to celebrate and broadcast others’ success stories. And finally, our volunteers’ own expertise helps the group to elevate our collective thinking. If you’re not volunteering, you’re missing out on the opportunity of a lifetime! Check out volunteer opportunities on this site, and be sure to join us at the AXIS AWARDS on Tuesday, December 5 to celebrate ATD Dallas and the Talent Development Industry as a whole. "It is never too late to be what you might have been." – George Eliot. Our workplaces are full of employees who think it is ‘too late’ for them. The result is a significantly high number of disengaged workers, almost 69% according recent Gallup research. So I was particularly interested to chat with Julie Moore at HMS, a 2017 ATD Dallas AXIS winner, to learn more about what they’ve been doing to turn those numbers upside down. Q: In 2014 your team noticed a drop in the number of employees participating in learning events, yet your engagement scores reflected that employees didn’t feel the company was providing them with development opportunities. To what did you attribute this disconnect? A: Our team spent some time batting this around and eventually concluded that we were primarily dealing with a lack of awareness among our key leaders on the existing resources that could be used to build careers. Supervisors were not encouraging employees to take the time to invest in their own development so learning just wasn’t top of mind. We had a strong suspicion that we didn’t have a training content problem, but rather a marketing problem. Q: So it sounds like your solution, the Career Development Initiative, was really about creating a stronger learning culture. How have things changed over the last couple of years? A: Before we launched the Career Development Initiative, we didn’t focus on helping our employees build careers. Learning was primarily concentrated around new hire orientation, courses related to the day-to-day job, and regulatory compliance. Employees were not encouraged to develop skills beyond their current job. 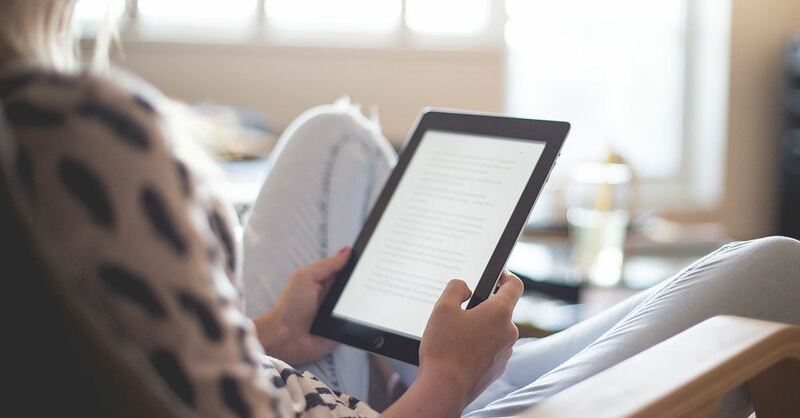 We knew if we were going to stimulate interest and motivation in learning, employees would have to own their development, with their manager’s support alongside the tools we could provide. One of the central elements of our Career Development Initiative has been a focus on strengths. Rather than focusing only on weaknesses or performance issues, we want employees to also consider how they could build on their natural talents so they could really soar in their career. So, for example, if an employee is strong with financial numbers, we want them to consider ways they can develop that skill in training and then use it in their day-to-day role to grow their core strength. The focus on career development has now been integrated into our talent review process so that leaders are constantly evaluating their teams and identifying ways to keep our high potential talent challenged. It also helps ensure that managers have the tools they need to create strong development plans. Q: You mentioned earlier that you suspected one of your biggest problems was marketing. How did you showcase this new approach to Career Development? A: Our launch in 2015 involved a big kick-off event we called the Learning Lounge, hosted at our corporate headquarters in Irving. It was a great way for our team to connect with employees in the company and talk about learning. We were able to show them real time the opportunities available in our learning portal and find out more about what they needed, which gave us a pathway to continue improving our offerings. That event stimulated a great deal of excitement around learning and career development. This year we took the Learning Lounge on the road to our Las Vegas office and we are looking to expand it even further next year to allow us to connect with more employees across the company. Q: You've seen a huge increase in course completion and received lots of positive feedback from your course evaluations. How has the initiative impacted your engagement scores? A: The primary question we were addressing through this initiative was “The company provides me with the opportunity for learning and development.” In 2014 our percent favorable for this question was 60.8% . A year after implementing the Career Development initiative, we increased that score to 66.4% and at the end of last year we were at 71.7%. Today, across many of our engagement questions, we are at the benchmark or higher, and are still looking for ways to improve. Q: Have you seen other outcomes you didn't anticipate? A: This initiative has led us to be more efficient and effective with the training programs we are offering and delivering. As we began to understand the employees’ needs we were able to help them navigate our learning portal better. We’ve put together a learning path for our front-line leaders that helps prepare new leaders for success in their role. That has led to an uptick in the number of courses our employees have been taking. In addition, our department has been overwhelmed by the growth in requests and activity. We have really had to stay focused on the priorities of the organization and get creative on how we can expand our reach. Q: And how have you done that? A: One of the things we’ve done is recruited Learning Champions across our departments. These are people who work with us on putting together learning paths for the common roles in their group so that new employees are onboarded well. They are also our ‘ears on the ground,’ providing us with feedback on what people are needing. We’ve also partner with the Learning Champions to develop Mastery Skill checklists that new employees can use to provide a more structured approach to on-the-job training. Q: What was your biggest challenge in implementing this initiative? A: Probably like most learning organizations, our biggest challenge was simply the ‘busyness’ of our culture. Our company recently implemented the Clutter Tool in Outlook, which essentially pulls routine emails that you don’t open into a Clutter folder. This means if our associates ignore our training announcements, they stop receiving them. So, we have had to look for new ways to nudge people, such as personal emails to key leaders about what offerings are coming up and how they can benefit their teams, more posters and flyers about what is coming up, etc. Q: What advice do you have for others who are trying to move the needle on employee engagement relative to learning? A: The circumstances are different for every organization, but I think what really made the difference for us was finding a creative way to market the opportunities that were already available and shifting the perspective of learning from a ‘have to’ to a ‘want to’ mentality. We’ve done this by helping our employee focus on developing their strengths for career success and advancement and it has made a big difference in how our employees view career opportunities at HMS. This is just one more example of how local DFW companies are making Dallas the Talent Capital of the World. 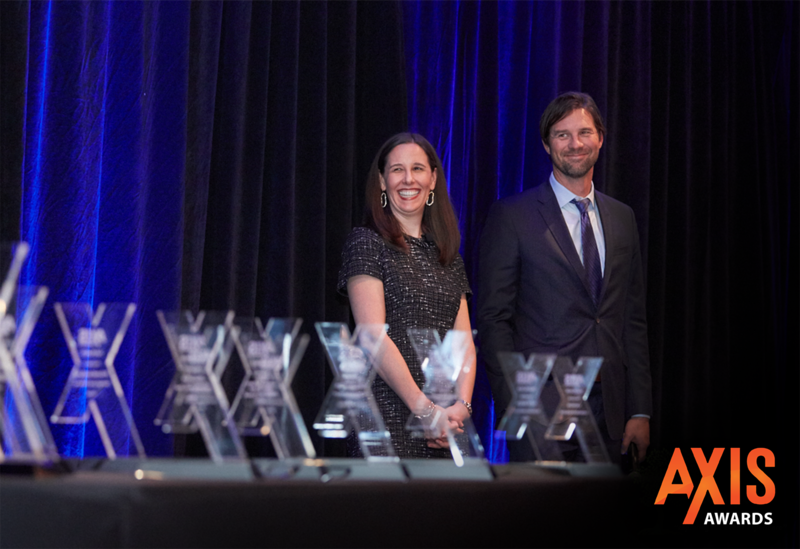 In December, ATD Dallas will introduce the 2018 winners of the AXIS Award. We hope you will plan to join us to celebrate those who are leading the way in Talent Development. 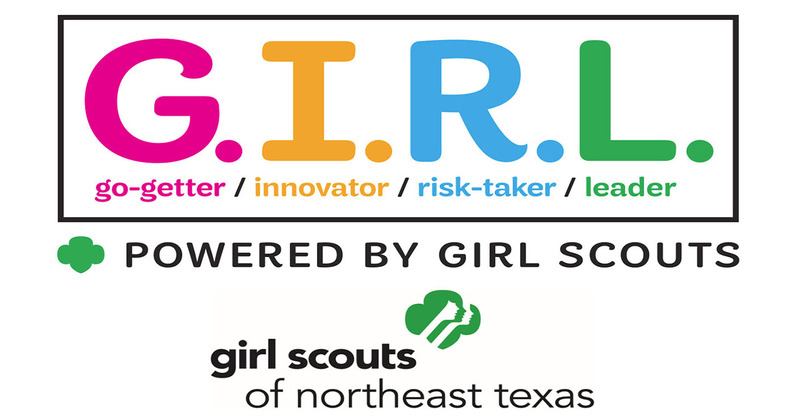 Go Getters, Innovators, Risk Takers, and Leaders: What you can learn about Talent Development from the GIRL Scouts! While scouting for more best practices in Talent Development, I had the pleasure of chatting with Donna Tharp and Jean Butts from the Northeast Texas Council of Girl Scouts of America. Their Knowledge Management initiative – with almost 100% volunteers! – garnered them an Axis Award last year. Here are some of their thoughts. Q: What led you to move from a more traditional training approach to a micro-learning approach? A: Watching trends evolve in learning, we discovered that our learners are less willing to give up hours and travel to attend training. They are volunteers, and it’s about the balance of value vs. time, so it becomes very important to deliver value in an expedient way. We also observed the pendulum swinging too far in “the make it fast / make it easy” direction, with the result that we lost some of our value. The GSNETX Learning Channel was created to restore and build value. A: Why did we select Facebook vs Linked In vs Twitter? Because our learners are already there, no additional username / passwords required. Facebook is 24/7 – it’s not once and done. Facebook makes use of hashtags, which means that everything that we publish can be curated and retrieved. Now, about crowd sourcing answers: if it’s an important question, then the answers should be accurate and clear, free from emotions. It was in that intersection that the seed for the GSNETX Learning Channel (GLC) was born. We observed many online community interactions full of questions, partial answers, misdirection - and frequently found golden nuggets of wisdom. That’s when we knew that we had potential to create something easily consumable that held real value and make a difference. Q: You relied heavily on volunteers to develop and publish this curriculum. How did you engage them and work with them to deliver quality content? A: We were blessed that we already had an existing team of volunteer facilitators for in-person macro learning courses. Within that group we found 10 volunteers to get us started with one post per day the first year. Once we were successful, we mined our community interest group for folks who could write well and asked them to begin writing for us. We provided the GLC Authors with a “How to write a GLC Post” Memo and the list of hashtags and ask them to write 4 or 5 posts per month, read/edit when necessary, and curate the photos. We developed a work plan to get ahead of the posts by 4-6 weeks so that we can edit, prepare and schedule posts for publishing at one time, freeing up the next 3 to 4 weeks, freeing us to work on other projects. We found with volunteers, it is crucial to build strong relationships, ask directly, be specific about what you need, and describe the benefits to them. Then praise, feedback, and more praise – frequent and consistent! Q: How did you market the program and get buy-in from your troop leaders to complete it? A: 1) First, we have volunteers take out their phones and connect to the Learning Channel at our new leader onboarding welcome session. We’ve also added it to the training page on our website, and integrated it into our official volunteer publications. 2) We announced our launch in an existing GS Community of Interest for local leaders with a jump to our page pinned at the top of the group. 3) We also shared information about our page with administrative volunteers who are influencers in the organization and asked them to help us connect people to the page. 4) Finally, we crowd source ideas and pictures from the volunteer community group to use in our learning posts. As people see that “they” could be highlighted, they are more likely to engage and enjoy and participate. Q: How has the shift to micro-learning impacted your troop leaders’ ability to perform their role well? A: Questions of desperation in community groups have decreased, AND we notice volunteers who are not authors using information we published to answer questions, as well. We now have dozens of experienced volunteers who can answer questions with accuracy! Additionally, new volunteers have liked our page and the support we gave them so much that they, in their 2nd year, are joining the learning channel as authors. Leaders building leaders more quickly through micro-learning! Q: What other resources have you put in place to reinforce adoption of the content and ensure its application? A: For longer content, we introduced “mini-macros” this year by creating “Events” in Facebook. Event promotions are seen by our followers on their walls, giving them the chance to RSVP. The content of each event, however, has its own URL, which keeps all posts inside the event collected together. Each Learning Event is focused on a single topic and features a series of 10 posts to tell a more in-depth story. We have also piloted an “official” Community of Practice (CoP) called “New Leader Academy”. This differs slightly from the Community of Interest mentioned above in that it is limited specifically to Year 1 Leaders only; has planned interactions and engagement opportunities; and has dedicated mentors to catch questions and point members to answers and resources. Q: What advice would you give to an organization considering a similar type of initiative? A: 1) Find someone with strong left-brain capacity who thinks like an engineer, can break the big picture down into the details, organize and manage those details in project format and then gently but effectively bug people to set and meet deadlines. 2) Think about what the Big Buckets are in your organization and assign those – with hashtags - to the days of the week, like programming a television guide. 3) Create a guiding codex or library of hashtags organized by your topical daily theme, which will give you a publishing structure to adhere to. 4) Remember that a post is generally only 2 to 3 sentences with a picture. Think also of related content that fits within the larger topic and assign hashtags to those as well. Your company is growing! That’s the good news…but…it’s growing faster than you can effectively onboard new employees. That is the situation Conifer Health faces every day, challenging its HR team to implement a brand new strategy to manage the organization’s talent in supporting the business’ goals. The results? An effective HR strategy that not only reinvents the company’s talent initiatives, but the progress so far has also earned it an Axis Award for Strategic Planning. Q: Why was creating an employee “brand promise” so important to Conifer? A: To drive consistency and excitement and build trust quickly. We had to learn what differentiated Conifer as an employer. We had to understand our team member value proposition, and answer the question: why would someone want to work here? That’s where the brand promise came in. We can promise more than just a paycheck. We can now promise career growth and almost unlimited opportunity because we are doing amazing things as a healthcare services firm – better together. We promise that we are better because of our new team members, and they will be better because of us. That’s our promise and our commitment. 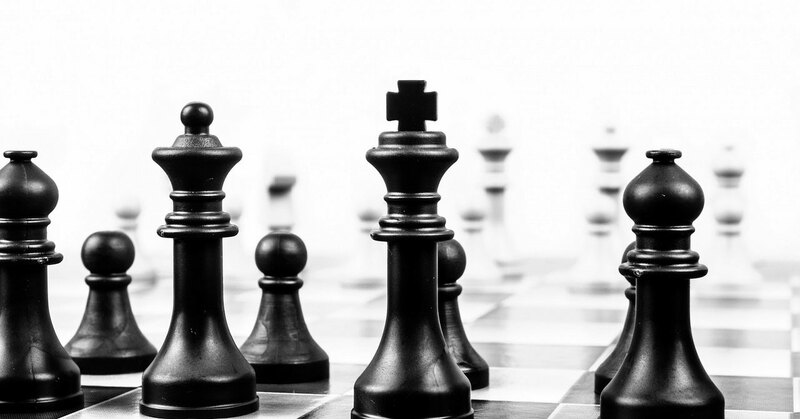 Q: How do you go about developing an HR Strategy that tangibly supports and promotes the brand? 1. What differentiates us as an employer? 2. What can we own in the marketplace as an employer? 3. What promise can we make to our team members and deliver on every time? From there, we developed a team member value proposition that connects with, and is relevant to, our business purpose and strategy. If our business purpose is to be the foundation for better health, then our value proposition must support it and our team members. That’s why Better Together makes a great connection. Better Health means we have to be Better Together as a team. From there, we analyzed our organization to identify gaps and barriers – what was keeping us from being Better Together? Once we identified those gaps, we started to build out our new talent strategy. That work continues today – getting Better Together and honing our talent strategy as we grow. Q: How did you roll it out to ensure the new strategy would be adopted by team members? A: We started by hosting a number of Town Halls to keep team members informed about the transition each step of the way. We then hosted special Orientation events followed by thank you notes and a formal welcome letter. Finally, we rolled out bi-weekly videos to support the transition of new team members and leaders, and provided a half-day leadership workshop for the new management team. But more than that – everything we did was to create a compelling new hire experience that connects people emotionally to our purpose, to other team members, and to the exciting possibilities ahead. Q: There is a lot of talk these days about the impact of ‘story telling.’ How did you use stories to make sure the brand promise really resonated with employees? A: We didn’t want to communicate with typical “business speak,” which can often be void of emotion. We needed buy- in and excitement from team members. Storytelling is the way to drive emotion. It helps our approach get beyond the pure logical connection to what we’re doing, and it engages the heart. Change can be hard, and our team members will deal with it better when their hearts are in it. Q: What one or two pieces of advice would you give to other HR/Talent functions who really want to connect employees to the organization’s goals/vision? A: First, this doesn’t start in the board room; it starts in the field. Talk to your team members. Listen a lot to what they are saying – and then be prepared to do something about it. Second, adopt some marketing principles. Don’t just be informative with your communications, be engaging. Capture their hearts as well as their heads. Finally, make sure it connects to the business in a way that drives the business forward. Our work in HR/Talent Management has to be of strategic value. We’re only of strategic value when we move the needle of real business metrics. To learn more about Conifer's Award Winning initiative, visit the 2016 AXIS Awards Winners Webpage. Pizza Hut Takes Gamification to the Next Level! Always interested in learning about best practices in talent development, I caught up with Amy Gingerich, Sr. Manager of Training and Development at Pizza Hut, to talk about their AXIS award-winning program, The Launch Pad. Q: What about gamification appealed to your team? A: “Our team loves gamification!” Pizza Hut found that out by building just one course in a gamified version, with collecting elements like smiles representing customer satisfaction and hearts representing brand love as rewards for correct answers. With 50,000 responses to the course reaction survey, 94% say they enjoy the game-like interaction, and those numbers continue to prove out as the course reaches three years in production. Q: How did your team get buy-in from the organization to make the investment? A: “First, Pizza Hut is a learning organization. We wanted to make sure Team Members could get to their training quickly and easily. So the idea of “hiding” the LMS by having the new rebranded platform reside on top of the LMS became the business case. Pizza Hut demonstrated how the new program validates the skills inside the course, rather than with a test at the end. An unexpected, but welcome, side effect is training time, which was significantly reduced by incorporating skill-building games inside the course. Q: What was your over-arching process – build then gamify, or build gamified? A: “Pizza Hut built each course gamified!” First Pizza Hut determined the learning objectives for each course, then worked with its vendor, MLink, to identify the best way to achieve those objectives through game play. One thing Pizza Hut discovered is that some of the courses really required a small “pre-download” that either set some context, or explained some rules for playing. Q: How did you roll it out? A: “In waves: that way we could begin replacing old content as soon as possible.” With 150,000 Team Members across the system, Pizza Hut needed to get the training up and running – beginning with Customer Service Representatives, then Delivery Drivers, and lastly Food Production. That method also allowed for an agile approach to development. Q: What are some key points that you learned about using gamification through this project? 1. The importance of the pre-download for setting context for the user. 2. Keeping the activity balanced – not too easy or too complex. If it’s too complicated to learn how to play the game, you’re less likely to actually play. 3. Again, around context: set a realistic expectation. Example: Some courses are designed to be “more challenging than others and therefore, require more than one round of game play (sort of like linear games – if you mess up you have to start over). Users are more relaxed when they realize that it’s supposed to be that way. 4. Test! Test! Test! 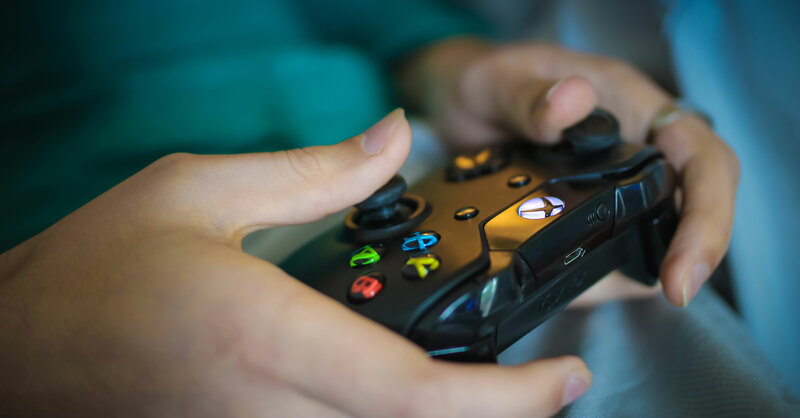 It’s incredibly important to test the games prior to launch to ensure the learners have a seamless learning experience. Q: What advice would you give to others who are considering adding gaming elements to their learning? A: Build your strongest business case by figuring out what the real need is and, based on that analysis, build a pilot! Q: Finally, any other thoughts you’d like to share? A: Yes! Our relationship with IT is critical!” IT should be your #1 business partner, along with your development team. Be sure all of critical players have a seat at the table. Curious to hear more? You can learn more about Pizza Hut’s Award Winning initiative on the 2016 AXIS Awards Winners Webpage or at our Chapter Meeting on June 20th. What initiatives are YOU working on? Consider sharing your story via AXIS!